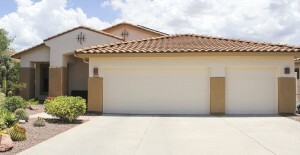 This beautifully upgraded home in the gated community of Monterey at Vistoso. Enjoy this large front yard offering layers of desert plantings, you can even sit and enjoy this off the covered front patio. Once inside, notice ALL the upgrades that were done in the kitchen, bathrooms, and tiled flooring throughout this 3 bedrooms plus den home. Now we’ve saved the best for last; the back of the home commands views of the majestic Catalina mountains and the Pusch Ridge views. Soak it all up in the solar heated pool and spa. Don’t forget to enjoy a taste of the desert with 7 fruit trees and 2 raised gardens. What more could any home buyer want!?! 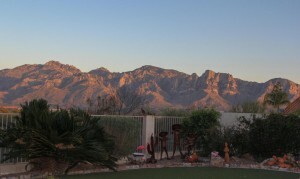 Did we mention the unmatched panoramic views of the Catalina Mountains from the patio. There are few homes in this price range that can provide these magnificent views. Driving directions – From the intersection of Tangerine Road and Rancho Vistoso Blvd Go North to Morning Vista Drive. Go East on Morning Vista Drive through gate to Carlynn Clifts Drive. Go South (right) on Carlynn Clifts Drive to Mountain Sage Drive. Go East (left) and proceed to N. Balancing Rock. Go south (right) to address. 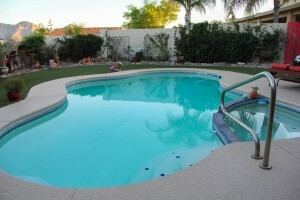 NOTE – The gate is closed to outside traffic, so if you want a showing give us a call – 520 – 940 – 4541.